Family medicine practitioners Dr. Sree Gogineni offers a number of preventive services as well as treatments to help patients maintain or improve their cardiovascular health. 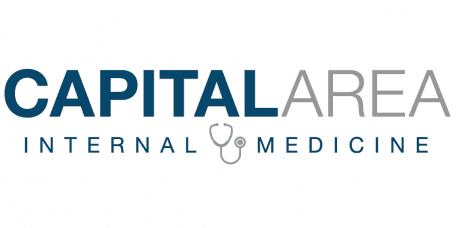 Their clinic, Capital Area Internal Medicine, has two locations in the Washington DC/Metro area. Call Capital Area Internal Medicine today or request an appointment online to speak with a primary care physician about helping you achieve your optimal heart health. Heart disease typically results from blood vessel disease. The term cardiovascular means heart and blood vessels; cardiovascular disease includes heart attack, stroke, angina (chest pain), high blood pressure and rheumatic heart disease. Of these conditions, rheumatic heart disease, which is caused by an infection, weakens the heart muscle. The remainder occur when blood vessels become partially or totally blocked. What are the cardiovascular health risk factors? Heart disease often runs in families, and a family history is particularly important if heart disease occurs early in life. People are more likely to develop cardiovascular problems as they age, and women are at higher risk of heart disease after menopause. Overweight and obesity increase the risk, as does smoking. Diabetes, high blood pressure, and high cholesterol may also be risk factors. Women who have high blood pressure during pregnancy may develop heart disease as they get older. Treatment depends on the cause of the problem. A blocked or narrowed artery might be treated with an angioplasty or a stent to keep the blood vessel open. Open heart surgery can repair damaged blood vessels or reroute them. Often, however, managing heart disease is a matter of medications to change the rate, strength or rhythm of the heart to lower blood pressure or help excrete excess fluid. Lifestyle changes like improving the diet, increasing exercise and stopping smoking are also used to treat heart disease. Most people can reduce their risk of heart disease and improve their cardiovascular health. A healthy diet with lots of fruits, vegetables and fiber helps with overall nutrition and weight maintenance. Regular aerobic exercise like walking, swimming, jogging or a similar athletic activity several times a week promotes cardiovascular fitness. Regular health checkups with a family medicine doctor and careful attention to oral health (gum disease may increase the risk of heart problems) are also important. Call Capital Area Internal Medicine or request an appointment online to meet with a primary care physician and prevent cardiovascular disease before it develops.